1. 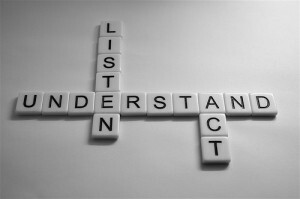 Listening is the first and most important step to starting engaging conversations with your followers. In order to know what your audience is interested in, you need to know who they are, what they want, and why they come to you. Pay attention to the conversation that’s already happening on your page and on competitor social media pages to learn about your customers. What is your audience already talking about? What do they talk about with competitors? 2. You also need to know what your company’s personality is going to be online. Are you casual, funny, professional, or authoritative? Decide how do you want to be perceived and how you want to engage with your audience, then stick with the personality you've chosen to create a consistent brand image. 3. Post the content they want in the voice you've chosen. Keep conversation going once you start it by responding to any comments, questions, and complaints that users post. If someone does have a negative comment, respond to it quickly and resolve the situation. Don’t allow it to get blown out of proportion. For positive comments, even if you don’t have something to say, reply with a thank you and tell the user how much you appreciate their feedback. This kind of response will cultivate loyalty and encourage more interaction from that customer. Whatever information or content your post, make sure that it is relevant, and interesting or entertaining. As long as your audience sees you as a source of good information, they will keep coming back, and the conversation will keep going. Interested in a FREE social media consultation...let us know via our contact page, or even better, give us a ring at 814.596.0020!